Pre-drilled to accommodate track spacing of 36", 40" or 48"
ProRac work and utility roof racks are designed to provide a greater load-bearing surface required for industrial and trade applications. This is designed for pickup trucks with toppers, hard tonneau cover lids, canopies, camper shells or other hard bed covers. The base of this industrial strength rack is our time tested Lo-Pro tracks. The contoured high impact resistant ABS feet were designed using engineering principles providing the best in form and function. The load bars utilize our proven profile and are extruded from aluminum 6063 alloy giving strength and rigidity in a light-weight package. This rack is perfect for carrying large bulky loads such as ladders, lumber, plywood, and other large construction items. Not only is it functional for work applications, but also it is functional at play. The load bars will accept all ProRac application products such as load stops, sliding tie downs, and other recreational products. 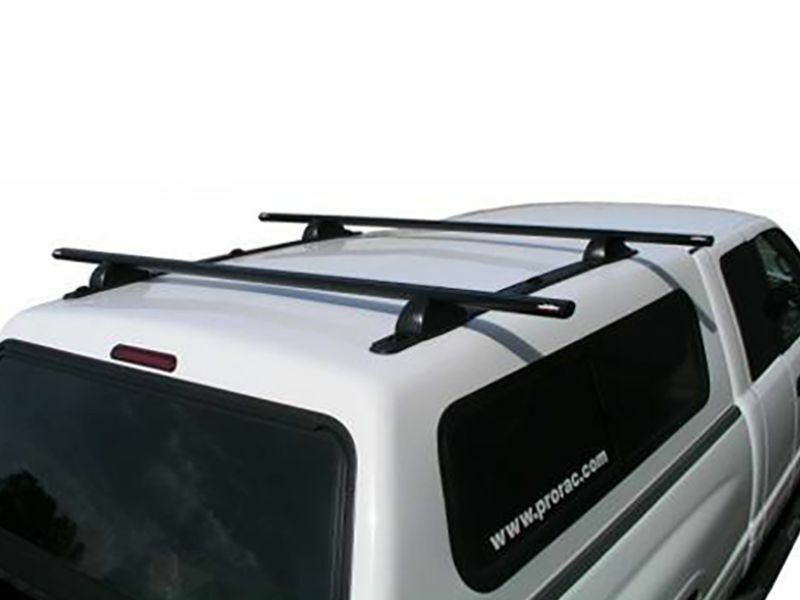 The ProRac work and utility rack is proof that a rugged and versatile roof rack can look good too. Get yours today! Please review the instructions and warranty carefully. Assembly and installation are the purchaser’s responsibility and beyond ProRac’s control. Therefore, ProRac exclusively limits its warranty to the repair or replacement of a defective ProRac product for up to three years from retail purchase. Warranty excludes damage to your vehicle, cargo, or any person or property during assembly, installation, and use. This product offers an easy, at home installation. The installation manual is clear cut and easy to read. For additional information call us toll free at 1-877-216-5446 or 701-253-5906.